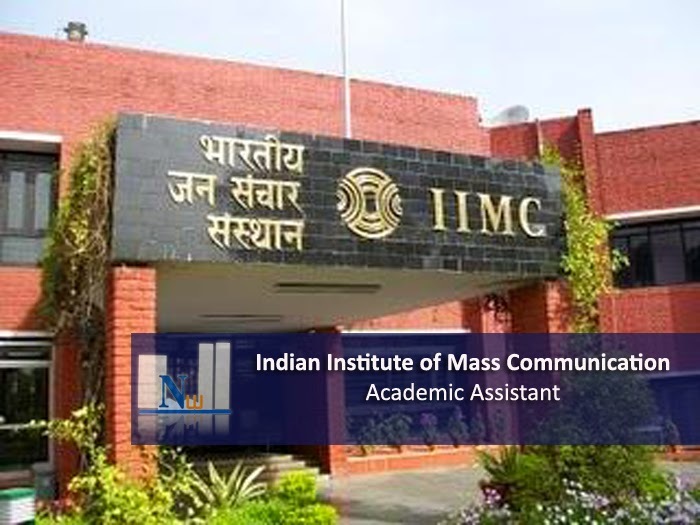 Academic Assistant recruitment in Indian Institute of Mass Communication. Essential Qualifications: Graduate in any subject with PGD in Journalism/AD&PR/RTV .Experience: Minimum two years of working experience in a reputed news media/advertising & PR agency or teaching/media research/good quality publications. Last date of receipt of completed application is 28.11.2014. Downloaded application form dully filled in may be sent by speed post or E-mail to (iimc1965@gmail.com).